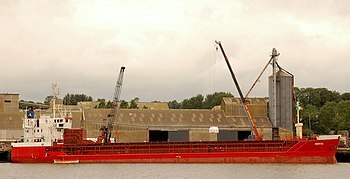 Cargo Ships are chartered for dry bulk cargo originated at various ports throughout the world. The cargo ships are either directly chartered by the shipper or exporter or there through ship chartering company. The chartering company can be a third company which charters the cargo ship from the cargo ship owners on behalf of the shipper. In this process, the complete risk of freight to be paid, documentation, dead freight, demurrages or any other charges are directly in charterers account. Some chartering company charters the cargo ship on bare boat charter or time charter and provides it on single voyage charter to shippers/ exporters. Mostly those shippers are interested to charter vessel from third party who are new in chartering cargo ships and ship owners or operators are not showing any interest to provide the cargo ship on voyage charter. In some cases the third part charter also helps the shipper to club up their cargo with other shipper dry bulk cargo to get the freight benefits. The experienced shippers / exporters are always interested in chartering cargo ship directly from operators or ship owners for their dry bulk cargo. The shippers with proper background for chartering cargo ship in past easily qualifies the chartering terms and the ship owners or their operator are comfortable in entering fixture note with the experienced shippers. Ship Brokers available at various ports around the globe provide complete online ship brokerage services for arranging suitable cargo ship for dry bulk cargoes. The dry bulk ship brokers help the fresh exporters and shipper to get the cargo ship chartered matching their laycan. Some shipping companies also trust experienced ship brokers who maintain close relation with ship owners and ship operating companies for fixing their ships. The ocean freight or cost of chartering ship depends upon many factors like the frequency of ship from or to particular port where the cargo is to be shipped, quantity of cargo, sailing direction of the vessel arranged, laycan of the shipment, loading and discharge rates, port location etc. The ship brokers or shipping company provided you with sea freight calculation once you take their services for chartering cargo ship.